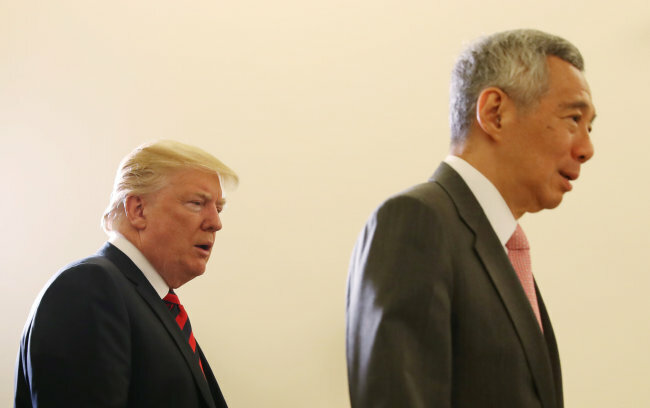 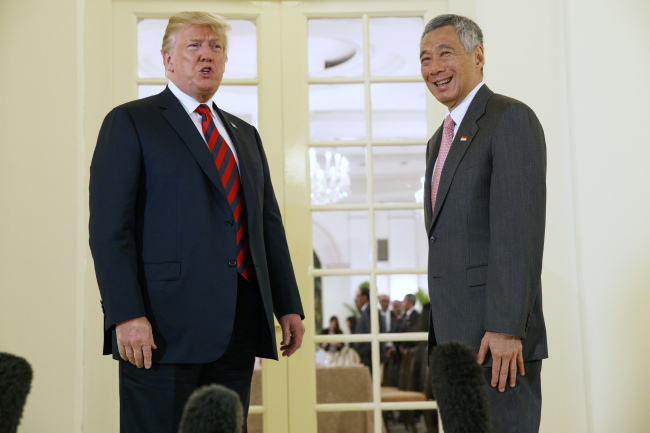 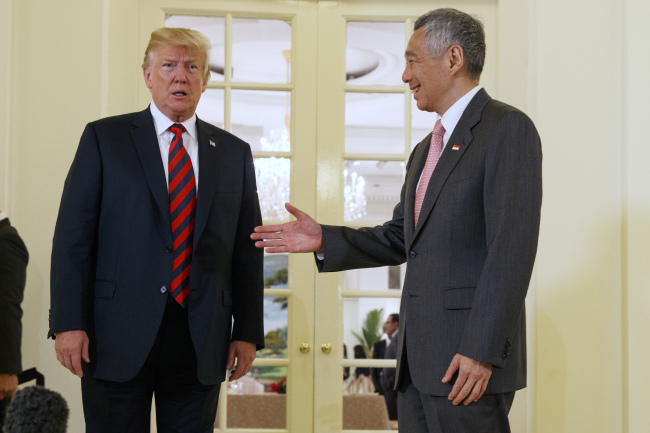 US President Donald Trump met with Singapore’s Prime Minister Lee Hsien Loong on Monday, ahead of a highly anticipated summit with North Korean leader Kim Jong-un set for Tuesday. 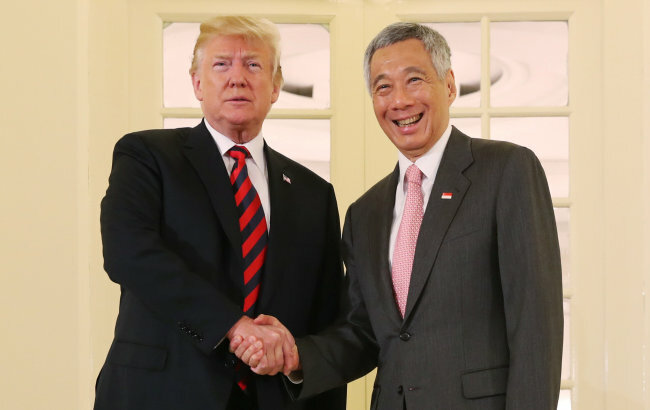 Trump was greeted by Lee at the Istana, the official residence of Singapore’s president. 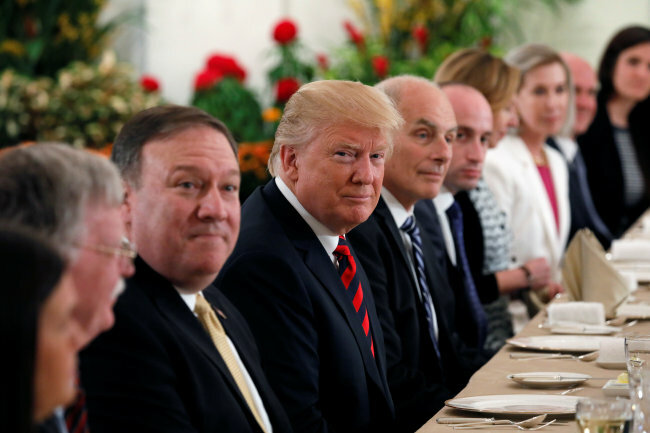 The US leader was accompanied by Secretary of State Mike Pompeo, national security adviser John Bolton, White House press secretary Sarah Huckabee Sanders and White House chief of staff John Kelly. 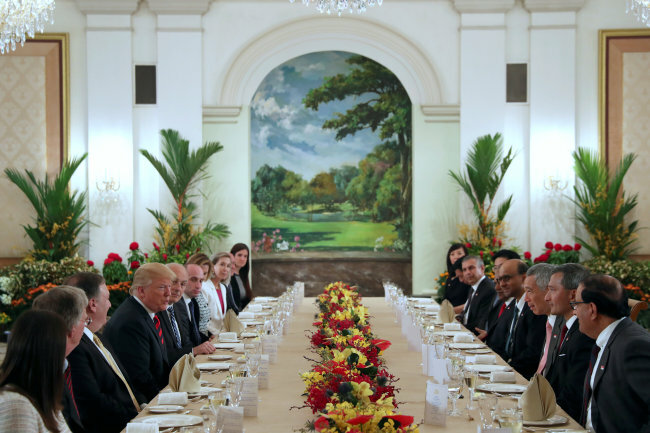 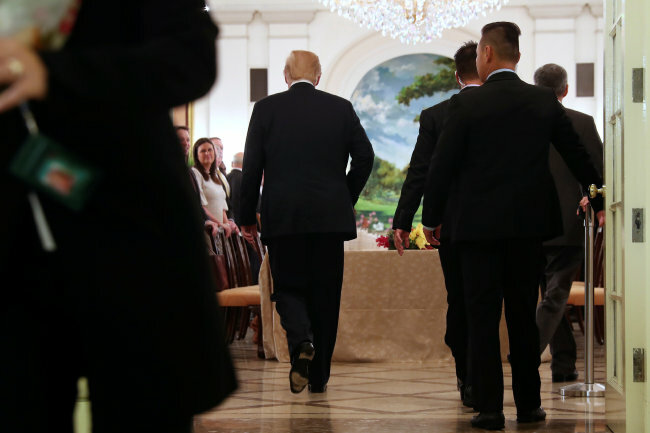 The two leaders attended a working lunch with their delegations, during which Trump expressed optimism for the upcoming meeting with Kim on Tuesday. 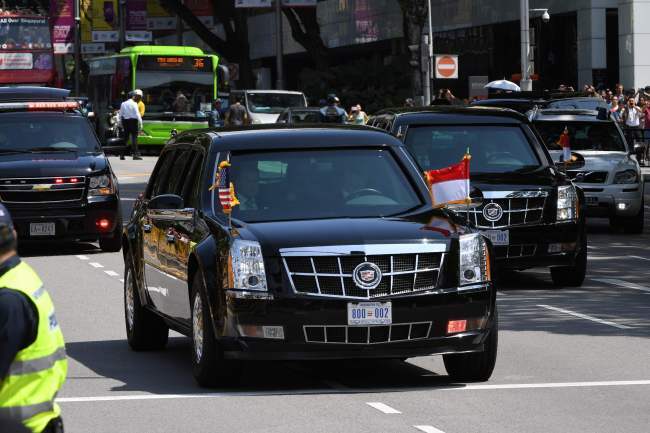 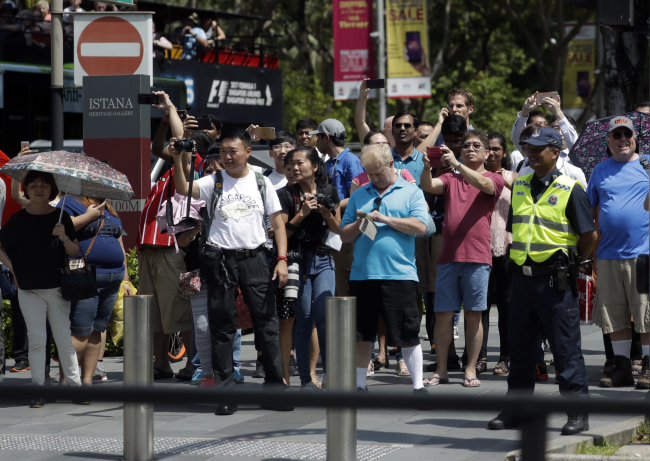 The lunch menu included lobster bisque, angus beef tenderloin and chendol ice-cream, according to reports.